Fill out the form and you will be emailed a report that includes an SEO keyword analysis and quote based on competition and current web site standing. We ask for your monthly budget so that we can recommend the right plan for you, but it is not required - search engine optimization is not a "one size fits all" solution. It is lengthy process that requires us to know the unique aspects of your business, web site, and customers. Are you human or trying to spam? Keyword analysis is the most important step of search engine optimization. The goal of SEO is not just to rank high on Google and the other big search engines, it is to reach potential customers. We start with your ideas for keywords (after all, you know your own business best) and from there expand upon the initial list with extensive trend, usage, and synonym research. Knowing the phrases that real people looking for your products type into search engines is the first step to great SEO success. Choosing the right keywords also involves ensuring we're targeting search terms that are financially realistic. The competitive levels in your industry (ie. how tough it is to rank high for your keywords) is what determines our SEO cost to you. 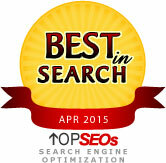 If you have a lot of competitors that have hired SEO firms, then our work for you needs to be more intense. By analyzing your competition, we can tailor an SEO strategy that can rank your site high in the search engines and falls within your budget. Search engine marketing goes beyond a few top page rankings and all web sites are different. We hope this initial analysis gives you some useful information, and is the start of a dialogue between us to develop the best SEO plan for your business' needs.